The Model Organisms for CNS Disease Network is a research program with specific focus in the generation and phenotypic characterization of mutant mice and other model organisms. This program is joined by scientists expertise in different fields of Neuroscience. Human disease is the result of a complex interaction between genetic factors and environmental agents, which include physical factors, and cultural, social and economical phenomena. Therefore, one of the main challenges of medicine is to reach a biochemical, molecular and cellular understanding of diseases and to be able to dissect the epigenetic aspects involved in their causes. The identification of the catalogue of human genes is the first step towards the understanding of the function of their products. The information about the genes of humans and other organisms should facilitate a rapid and global understanding of human physiology and pathology. Functional Genomics is a new discipline that includes, among others, the development of disease models in mice and other organisms and the phenotypic characterization of these models. 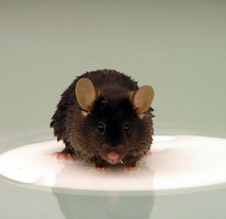 The progress in the analysis and the capacity of modifying the mouse genome, have established the mouse as an excellent model for the analysis of normal and pathological biological processes in mammalians. Thus, it is particularly important to have research programs with specific focus in the phenotypic characterization of mutant mice. Such programs would need the expertise of scientists that are able to cover several aspects of this type of research. The Model Organisms for CNS Disease Network is a research program with specific focus in the generation and phenotypic characterization of mutant mice and other model organisms. This program is joined by scientists expertise in different fields of Neuroscience. As every year, it's time to call for Murine Models of CNS Disease annual meeting. The proposed date for this year is December 1st in order to be able to attend the CRG meeting that this year is organized by Gens and Disease Program. Go to meetings page for more information.